Portugal’s plans to allow shared liquidity with other European jurisdictions has finally been approved, according to documentation recently released by the European Commission, the European Union’s judicial arm. The EC’s approval of Portugal’s plans, which were sent to Brussels in January after undergoing a lengthy draft process dating back to 2015, allows the Iberian Peninsula country to seek new channels to boost its moribund, firewalled online-poker offerings. 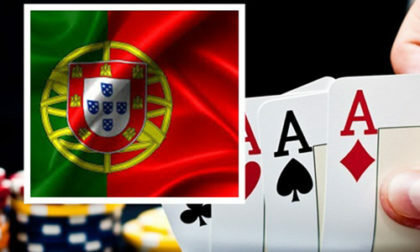 Poker was something of an afterthought to Portuguese gaming regulators when drafting their latest round of online-gambling regulatory updates a couple of years back. The focus of Portugal’s regulatory body, Serviços de Regulação e Inspeção de Jogos (SRIJ), was on sports betting and online casino games, activities that are both larger in financial scope and involve players wagering against the house. That left online poker and its player-vs.-player format (for a fixed house) fee, likely in search of critical mass. Portugal’s population of just over 10 million, tiny by the standards of European countries, simply wasn’t large enough to provide the needed online-poker liquidity. Three of Portugal’s neighbors, Spain, France and Italy, have also tried the single-nation route, with generally declining participation as a result. Portugal’s plans to emulate its neighbors surprised many onlookers, in particular because the move was coupled with earlier-announced, hefty tax rates that appeared to make profitability for licensed online-poker operators in the country all but unobtainable. The approval of the shared-liquidity plans by the EC might not change that, even if it does open up the door for Portugal to allow player pooling with its neighboring countries. Any of the three other single-market jurisdictions in western Europe might be open to such a deal, particularly France and Italy, which both need an infusion of poker-playing blood. One problem not actually address by the EC approval of the technical framework is that many of the operators who once serviced Portugal fled the country in late 2015, when the new regulatory regime and hefty tax rates were first announced. William Hill, Amaya, PKR and bwin.party were among the firms that left Portugal in 2015, though Amaya returned later with its market-leading PokerStars brand. Only 11 firms, however, presumably including Amaya and its Stars brand, had filed for Portuguese licenses as of last year. And any of those offering online poker would also have to be licensed in any countries doing liquidity sharing with Portugal, meaning that such a deal might leave as little as single operator (PokerStars) licensed to do business in both jurisdictions. The France-based Winamax might be another country looking to do business in Portugal (or Spain, or Italy), assuming any actual player-pooling deals between these countries come to fruition. Another of the reasons that a Portugal-France liquidity-sharing deal is likely to be done first is that the other ring-fenced countries in the region, Italy and Spain, have yet to formalize similar plans. Nonetheless, as the US experience has shown, it’s easy to claim the desire to put together a pooling deal, but much tougher to make it work. The US states of Nevada and Delaware, two of the three US states that offer regulated online poker, agreed to such a pooling deal way in principle way back in 2016. Nevada regulators reached a similar meeting of minds with the third official US online-poker state, New Jersey, in May of last year. However, none of it has come to fruition, due to a myriad of technical, logistical and legal hurdles. As a result, those three US states remain ring-fenced, just as the four western European countries are as well. Even though the EC approval is good news, it’s still just words on paper, and a long way from becoming reality.